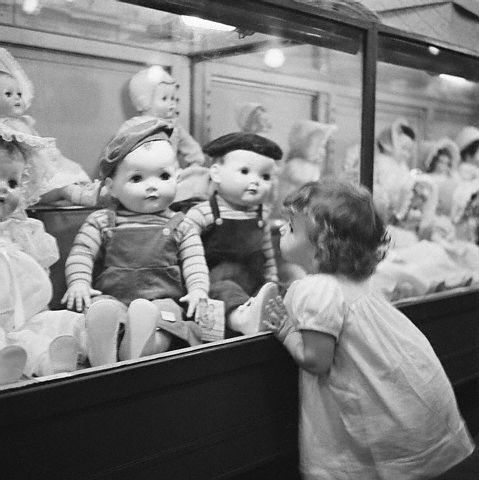 As an appraiser and dealer in the doll industry, I look at a lot of collections. I many times must explain that this collection, or single item does not have a high commercial value. This means that a store wouldn’t be able to sell it to a consumer. It is generally items that would be great candidates for a rummage or garage sale. I also see a lot of good things that are worth a lot of money. That’s my job – carefully combing through all of these items, sometimes after a death, and determining if something is monetarily significant. Sometimes items are worth a lot and surprise people, sometimes they are not. Generally, when I deliver the latter news, I get a resounding response of, “I told my Mother/Father/Grandfather/Partner to quit collecting all this stuff long ago.” I wonder how long ago they started telling their loved one that. When I explain to people that their loved one collected these items with a lot of joy and love and that in doing this, it brought happiness to their life, I often get, “You know, I never thought of it that way. I suppose that is true!” Their attitude changes, and sometimes I only wish I had gotten to them sooner. I am speaking for most people that collect (not hoarders, that’s a whole other article) that when you are searching for what you collect, what you enjoy, and that makes you happy, that FINDING it brings you joy. Should you put a value on someone’s happiness? Should you put a price on the experience of finding something special at a garage sale, thrift shop, or high-end auction house and coming home and proudly displaying that item? Of course, you shouldn’t. It’s important not to discount the thrill of the hunt. No matter what you collect, the best part is finding it. I hear this a lot. I reminded Betty that this is HER life to enjoy. Just because her children don’t want to “deal” with it when she is gone, doesn’t mean that she shouldn’t have what brings her happiness. I think that anyone who survives 90 years deserves to do whatever they want. Betty left my store that day with her doll, and it probably made her year. It might have been the last doll she purchased, or hopefully, it opened her back up to collecting, and she purchased more. I told her to attach my information to anything she purchased, that I would give her children honest and objective advice on the items – that is my job as an ISA appraiser. Bottom line is, encourage your parents to enjoy life. Don’t make them worry about how you are going to deal with their life’s passion after they pass away or make them do a mad scramble in their later years to sell all of their treasures. People need to be surrounded by love. They need to be surrounded by what pleases them and makes their heart sing. Next time you call your Mom or Dad who collects, ask them to tell you about the new addition to their collection and listen to them tell you about it with whimsy, excitement, and interest. One of the main reasons people collect things is that it brings back memories of their life and their passions. Let em’ have it. Can you think of a good reason why they shouldn't? Collectors generally study their chosen field and have put a lot of energy into learning about these things. So the act of using their knowledge to decide to buy something and add it to their collection, makes them feel successful because they are. We don’t want to be the one to spoil their last hurrah, or make them feel guilty for what they have built. There are plenty of reputable estate services, private dealers, and appraisers that can make dispersal relatively simple when that time comes. Set that up ahead of time, let your family and trusted estate representative know you or your loved one's wishes, and get back to finding treasures. There is no better time than now.